World Music masters Kim Sanders and Bobby Singh will be exploring music from Turkey to India in an unplugged concert at St Luke’s Church Hall in Enmore on Sunday September 4. 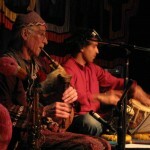 The “jugalbandi” (literally “entwined twins”, if you are in India) or “muhabbet” (a relaxed chat, if in Turkey) is a musical conversation between two solo musicians. The programme will be a developed and extended version of a programme first presented in the Festival of Asian Music & Dance at Sydney Opera House in 2002. This concert will feature Hindustani Classical rhythms, Turkish Classical makams, aetherial Sufi meditations and strange originals. Some pieces will be very traditional, and some will extend the boundaries somewhat. 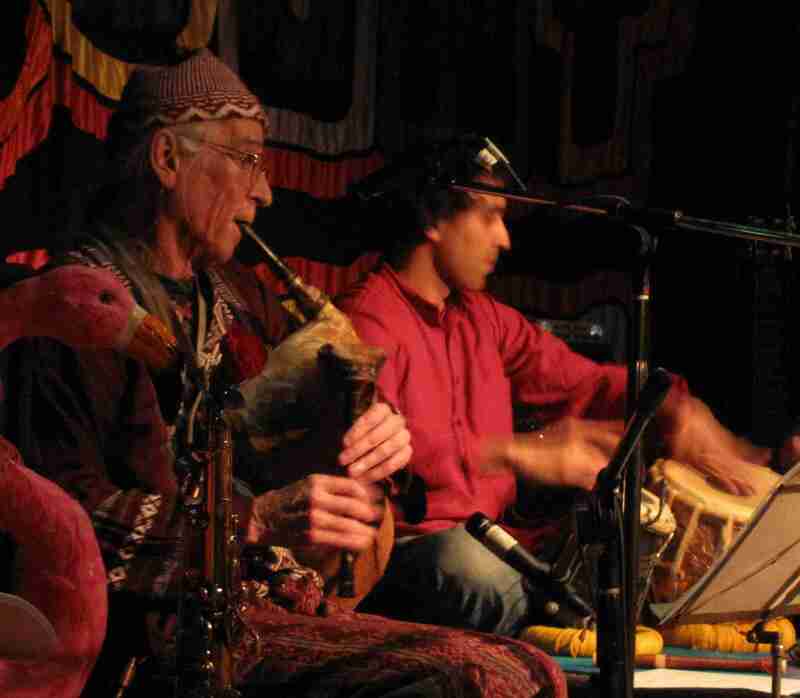 As well as traditional Turkish Classical (and Sufi) ney flute, Kim will be playing Turkish mey (similar to the Armenian duduk) and kaval, a wooden flute found in Turkey and the Balkans, and a hybrid Bulgarian- Turkish- Balinese- Australian bagpipe he calls the Ganesha. Kim and Bobby have been performing together for more than ten years in Kim Sanders & Friends and other contexts, and have developed the kind of rapport that leads to all kinds of unexpected delights in the improvised parts of the music. Be prepared to enter deep space! Kim’s CD’s “Trance’n’Dancin” (with Peter Kennard) and Kim Sanders & Friends’ CDs “You Can’t get There From Here” and “Bent Grooves” are now available online from iHear Music. You can download single tracks or whole albums. 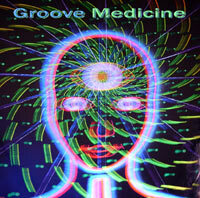 Brassov’s classic CD “Chronic Rhythmosis” (sold out in disc form) is now also available on iHear Music. iHear Music supports Australian musicians – support them if you can! Kim will be performing solo as a “Wandering Minstrel” from 2 – 5pm at the Festival of the Winds at Bondi Beach on Sunday Sept 11. Music, dancers, stilt-walkers and food from round the world. And kites, naturally. Bring the Kids. Presented by the Bondi Pavilion in association with The Australian Kite flyers Society.